Many people consider memory, or RAM (random access memory) to be the most important aspect of a computer. Rightfully so, RAM has a lot to do with the speed, and overall performance of your computer and when it comes to memory more is never a bad thing. Also computer technology grows fast, right now your 4GB is enough but mostly several months later it would be not enough to run the new released software, so better use 8GB directly from now on. Why should you care so much about RAM? RAM is essentially the core of your computer. It can be considered just as important as your processor, or hard drive. With the right amount of RAM on your computer the performance of your PC and the ability to support various types of software is optimized. The overall performance of your computer is determined by how well your CPU and RAM work together. The more RAM your CPU has access to, the easier its job becomes, which enables a faster computer. If you do not have a sufficient amount of RAM than your CPU has to work much, much harder to transfer data, which severally damages the computer’s performance. Random access memory also helps your system support software. Every piece of software requires a minimum amount of space and memory to be able to run smoothly. If your computer does not have enough RAM to support all the software systems you are running, or trying to run, they move so slow that it might not be worth running that software system. Additionally, if there is not enough storage room, the software might not run at all. RAM is such a key element to how your computer functions that if one storage location out of a million is damaged your entire system can potentially crash. 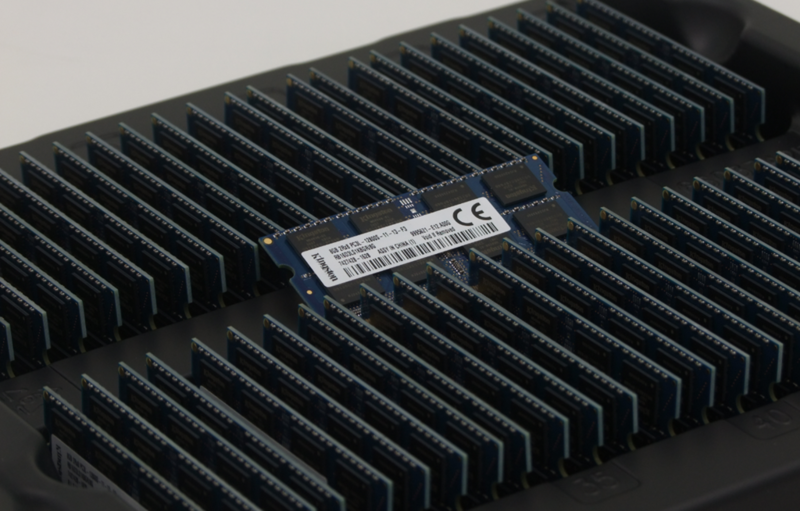 These few reasons should have helped convince you why during your next laptop, or desktop purchase you should seriously consider how much RAM is available. Doing so would be more beneficial to you and your wallet. Comparing RAM capacity instead of key board light options and deciding which OS you want based on its animal icon, seems like the more educated decision. There are other factors that can impact your computer’s performance, but like we’ve said memory is one of the most important, so consider bigger ram now.